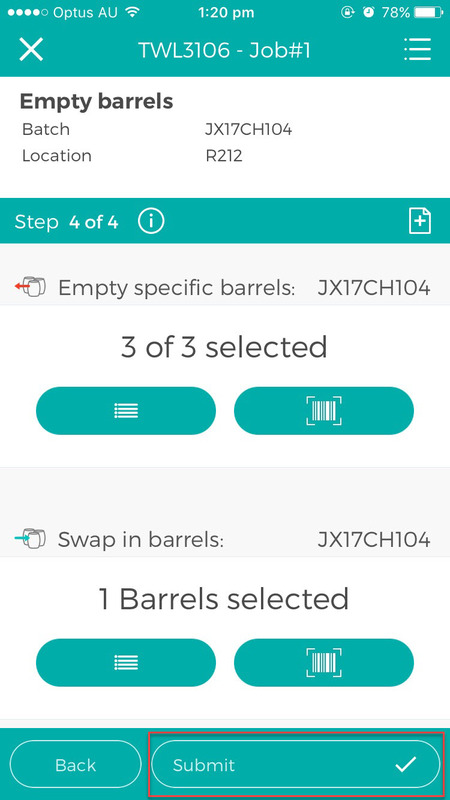 You can swap barrels/kegs in the barrel group when submitting transfer operations from the app. In the example below, we are swapping one of the barrels to be emptied with a keg. 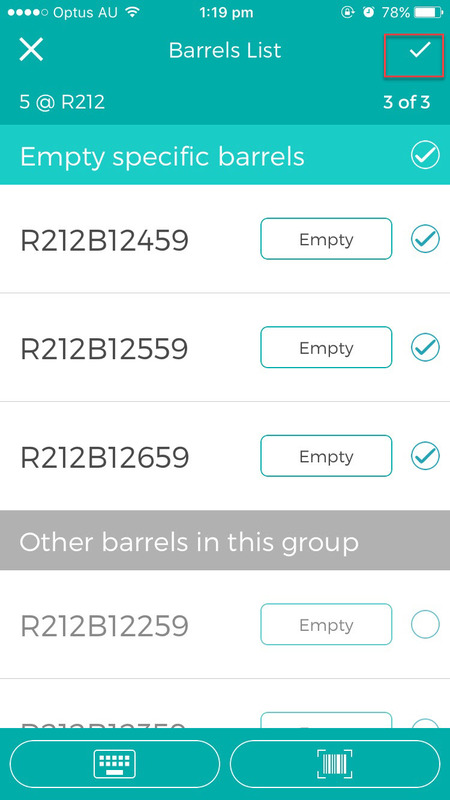 Tap on the empty barrels list. 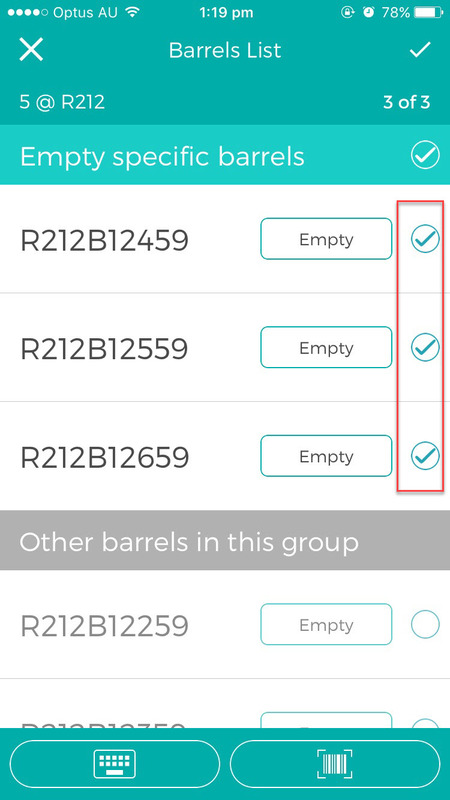 Confirm the barrels to be emptied by tapping on the checkbox beside it. Alternatively, you can scan the barrels by tapping on the barcode icon. 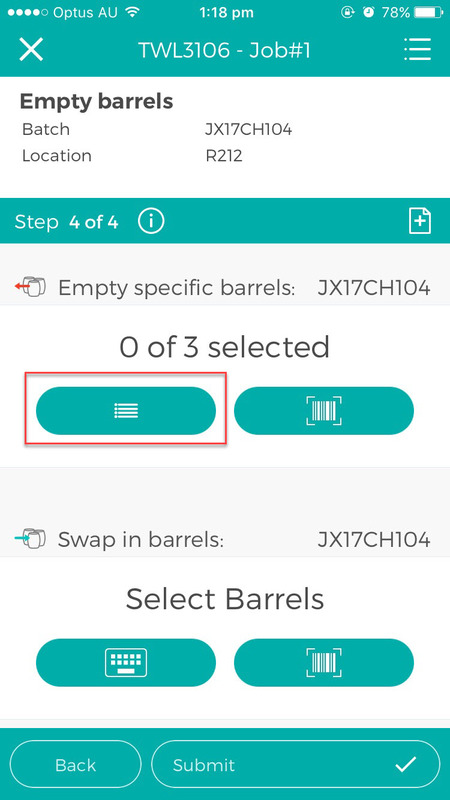 In the Select Barrels section tap on the keyboard icon to enter the name of the keg or barrel you want to swap in or you can tap on the barcode icon to scan it. Enter the name of the keg/barrel. 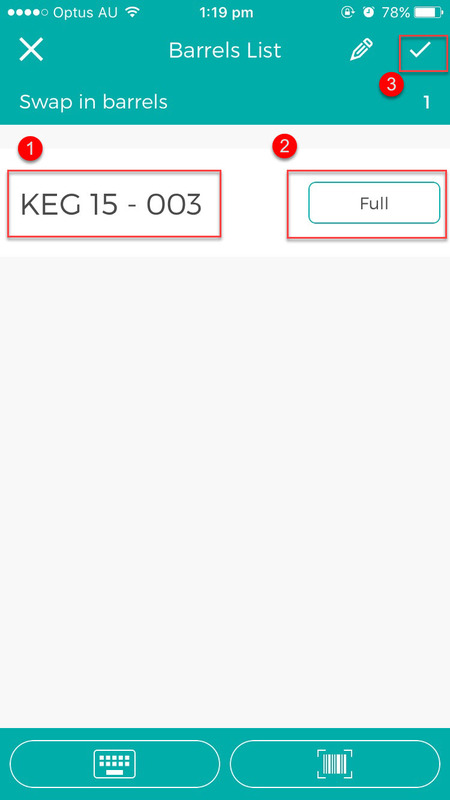 Tap Submit after you have entered all the required information.